Notice： There are 7 colors: Black, Red, Orange, Purple-blue, Yellow-Purple, Silver, White. Color will be sent randomly, if you need specified color, please mark in your order or contact our service. 1. Please clean up MAVIC drone with wet and dry cloth, and then stick the stickers on corresponding position. 2. If there is warped edge, use the hair dryer with hot wind to heat it and press it for some time, until the stickers stuck on MAVIC drone completely. 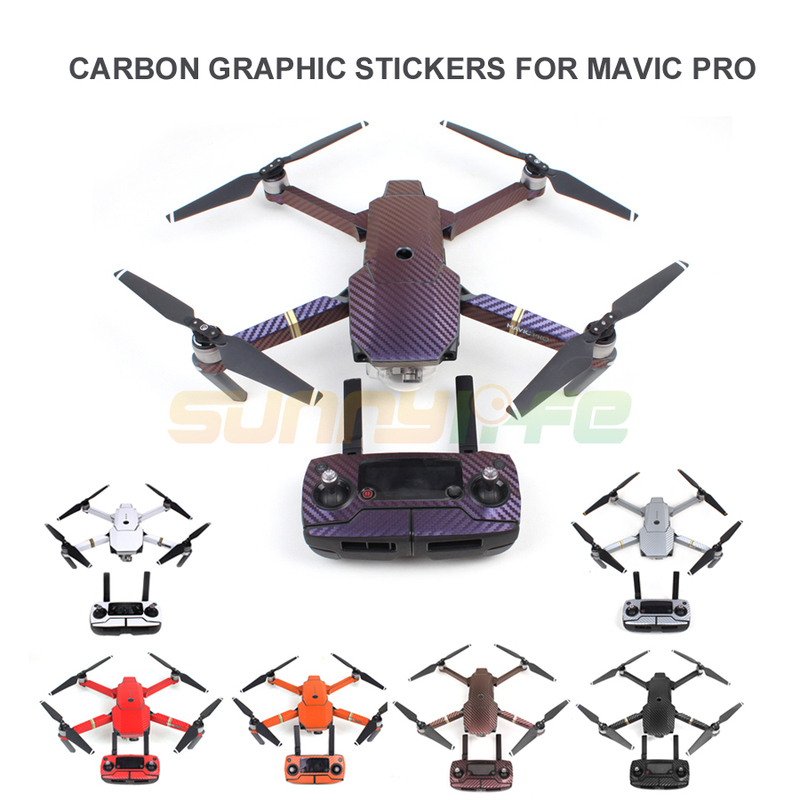 This set of stickers is for MAVIC PRO drone body + arm + remote controller + battery, more complex than the former stickers. Therefore, it requires the user that has certain manipulative ability and more patience. If you’re lack of patience and manipulative ability, please think carefully before you buy.